When I detailed my Wealthy Formula used to build my wealth (read it here), I shared that you need to build wealth wisely. Why do I add the word wisely in there? If you do not acquire wisdom along the way in your wealth building journey, chances are you cannot build sustainable wealth. You may encounter a common problem: You read some books or go to a course, and they teach you how to invest through a particular wealth building method. You dive head first into it and then the result was not what you hoped for. In some situations you end up losing a lot of money, which is what we called tuition fees. Acquiring the preliminary HOW-TO is necessary but is not the be all end all. You need to distill what you have learn to find a blend of wisdom that will enable you to build sustainable wealth. I came up with this framework to help you visualize on a high level, how to relate wisdom with the rest of the pieces of data you get in daily interactions when it comes to building wealth. You may confuse facts and knowledge as something similar to wisdom. They are not the same. Think of it this way. Wisdom is harder than knowledge to acquire, and knowledge is harder than facts to acquire. The harder they are to acquire the more valuable they are. You gain facts by being a willing receiver of information. Without facts, you do not know where to start, or that you will make mistakes, lose wealth, but most of all learn all the wrong lessons from the experience. Facts can be view as individual pieces of information, that, when look individually are correct. When they are put together, they may lead you to a different outcome. How do you gain facts? While the facts provide you with the blueprint or direction to do it, the data provides the feedback. It tells you whether you are doing well or not, and whether you are deficient, in that case you might need to learn more things. Its good to note that data do not just come from you but also from experts in your wealth building field who have done the hard work in collating these data and what they mean. Having facts, without the data, is like trying to fly a plane without its sensors. You know how to fly the plane, but you need to make adjustments, you need to factor in actual conditions. Without these, you are likely to crash and burn. Now that you know Facts and Data, you know the blueprints and the behavior of what happens when you and others follow the blue print. Distilling these together would be knowledge. While facts might be piece of the blueprint, knowledge is what tells you what works and what are the parameters that you need to work within and what other data and facts you need to obtain to be competent in building wealth. While both wisdom and knowledge looks similar but there is a slight difference. For me knowledge is what you gathered from sources with data and facts. Wisdom, on the other hand, is when you take these information, reflect upon whether they make sense, or sound, apply them in real life situations, and come to a good conclusion. Momentum Trading would work but based on my temperament I might not be competent in managing the behavioral aspects when the system is conflicted with what the human is seeing. Can I trust the system? 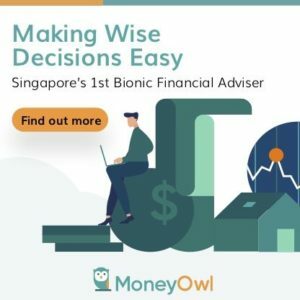 When it comes to where a person fall within a competency meter, the folks with knowledge is closer to that of an informed investor, while wisdom is closer to that of a competent wealth builder. To gain wisdom, you first need knowledge, and to gain knowledge you need to first gain facts and data. Whether you have knowledge, wisdom or non of those, without application, it doesn’t amount to much. If reading a few books, going for some courses would make you money, there will be much more people worth much more than they currently am. Only through putting what you learn in practice, collecting your valuable experiences as data, reflecting on your results would you gain more wisdom. Wisdom is the combination of knowledge and learning through application. If you want to be effective in building wealth, you have to acquire the wisdom. It is paramount that you understand this framework because it can be very simple, but it is not going to be easy. It is like being a manager at work. You cannot say being extremely good at one aspect makes you a competent manager. There are just other aspects that you have to be good at. If you are diligent in gathering your data, but no facts, you do not know what to do with the data you gather. If you have the facts but no data, you are blindly applying to build wealth without feedback. If you do not reflect after you embark on your wealth building method, you will make the same mistakes again, or not find out why things are not working well for you, or be overconfident about how you build wealth and failed to see the flaw in your method. Do you think being wise is required to build wealth effectively? Do you look at it differently? I do fully agree with you that knowledge without wisdom is not sufficient to build and sustain wealth. For me wisdom is knowing what to do next, skills is knowing how to do it and virtue is doing it. Way too often we know what to do, but we hesitate by pondering too much about the ‘what ifs’. The conditions will never be perfect! That’s a fact of life. From my own experience once I had made the decision to take more responsibility for my finances, money stopped being a source of frustration and actually began to flow more freely into my life. I just had to become serious about money before it could become serious about me. Thanks for sharing your views. I guess much of wisdom is translated to actual battle experience, if not we are just textbook generals. And you brought up the point of getting financial wisdom, that what used to be a concern might still is, but you are dealing with it better . A few weeks back I was trying to teach my 8 year old daughter the difference between Knowledge & wisdom. I failed as I was not clear enough for her. May be next time I will succeed. Your daughter is privileged to have you teaching her this difference. It is not easy to grasp unless with some examples i felt. it is not easy at all. it was even more difficult as even I was not clear on the concept myself. I felt there was a teaching moment in the events of the day on which I wanted to build up.